Featured on Discovery Channel this week. 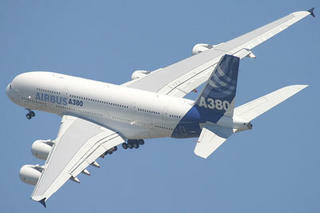 Giant of the Skies: Building the Airbus A380 premieres August 17-19 at 9pm BKK time. It's the most ambitious project ever in civil aviation – building the world's biggest airliner. In 2006, the 240-foot triple-decker Airbus A380 is due to enter into commercial service carrying more than 550 passengers distances of over 8,000 nautical miles. The most progressive aircraft idea in history was introduced in 2000 as the new alternative to Boeing’s 747. When completed, the Airbus A380 will be able to ferry more passengers over a longer distance than any other airliner in existence.